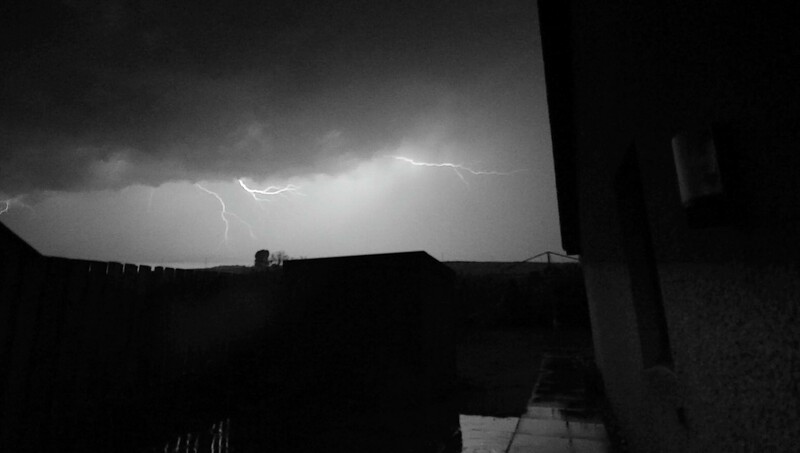 A fierce thunderstorm struck the north-east of Scotland yesterday, placing the region on flood alert and plunging many homes into darkness. 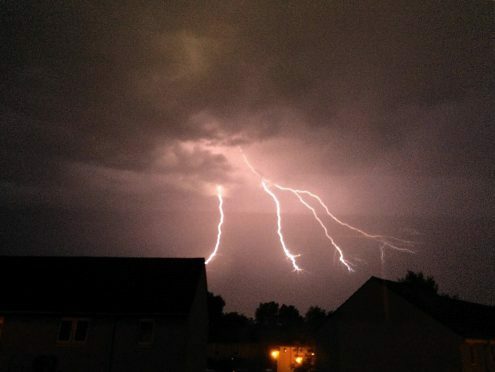 Bolts of lightning, mighty roars of thunder and torrential rain showers engulfed Aberdeen, Aberdeenshire and Moray in the early hours of the day. Motorists were warned about flash floods on the roads, whilst the Met Office kept a yellow warning of rain in effect well into the night. Meanwhile, the Scottish Environment Protection Agency put Aberdeen City and Shire on flood alert, along with Moray and Speyside. Locals near Tomintoul, Lumphanan, Turriff, Huntly, Strichen, St Katherine’s and Keith were among those left without power as Scottish Hydro Electric Power Distribution dealt with the loss of electricity to thousands of homes across Scotland. North-east police issued a warning to drivers, urging them to “be wary” on the roads, due to the effects of localised flooding. In Moray, the A96 Aberdeen to Inverness road was badly affected in the afternoon, while there was also reports of hail in other parts of the region. 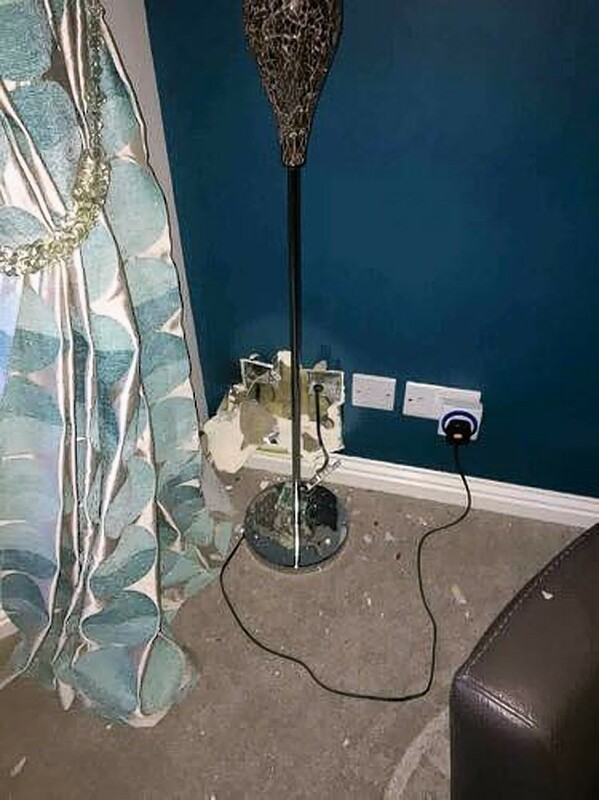 One family in Cove woke up during the thunderstorm to smell burning after a bolt of lightning blasted a hole through their roof and blew up power sockets. The woman, who did not wish to be named, lives at the property with her partner and son and woke at 4.10am, because of the howling of their young dog. She said: “It has been pretty scary, it has been a really long day. It was approximately 4.10am that the lightning struck our property. Almost immediately, our house plunged into darkness. “We could smell burning and there was some smoke upstairs. We weren’t aware at that point we had been struck by lightning through the roof of our property. We heard the bang and thought something had been hit. In Balmoral, more than one inch of rain fell across a 24 hour period. The average monthly tally for rain in July, across the east of Scotland, is between 3.1in and 3.3in. 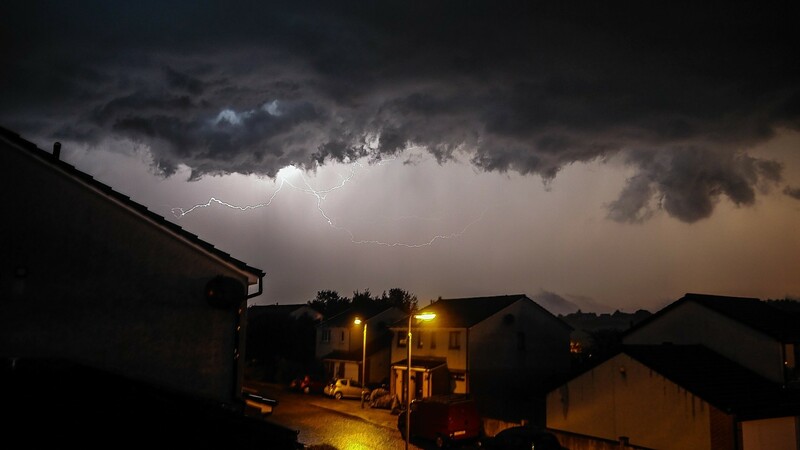 But Met Office meteorologist, Charles Powell, described the thunderstorm as “fairly intense” and “out of the ordinary” for the north-east of Scotland during summer. He said: “We were tracking some warm air moving in from the greater European continent, from France and Spain. That has given us the warm conditions. “It also came at the exact same time as an area of high pressure, but it did contain quite a lot of moisture and a lot of energy. “Ultimately, as temperatures rise, you kind of collect and group together all this energy and moisture, but at some stage it has got to give and that is exactly what happened. He added that the next few days would present a “much drier picture”, with temperatures in Aberdeen set to be between 19C and 20C today. Yesterday, a Sepa spokeswoman said: “Heavy rain and thunderstorms are expected to pass close to this area, increasing the possibility of some surface water and river flooding. 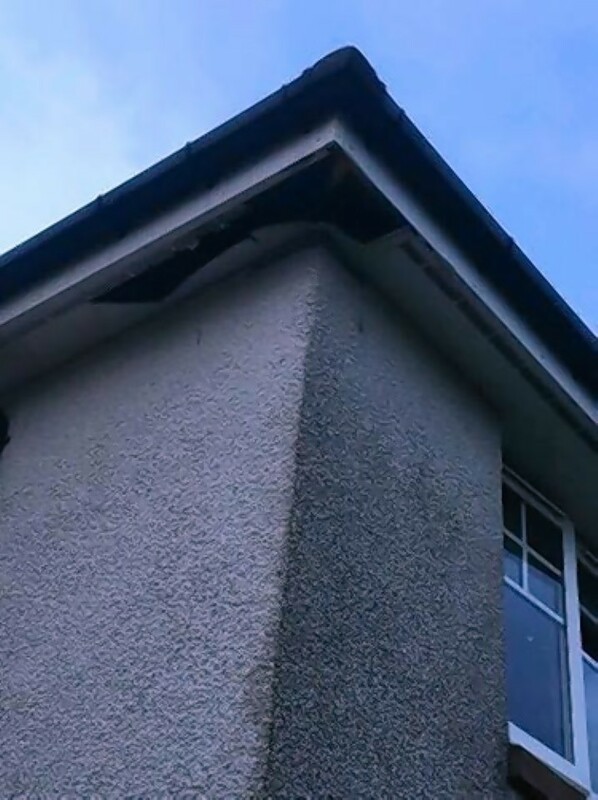 “In built-up areas, drainage systems may struggle to cope with the intensity of the rain and surface water flooding is possible on the road network or in flood-prone low-lying areas. “Travel disruption and flooding to properties is possible if the rain becomes prolonged. A spokesman for Shepd confirmed there had been 66 reported high-voltage faults across the north-east, Tayside and Perth, affecting almost 35,000 properties.